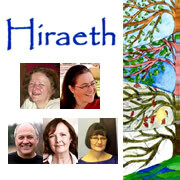 Hiraeth is a group of friends who share a passion for harmony, good music, and fun. On Friday 28th October the group will be performing an eclectic mix of music including folk, swing and pop, at Wincanton Baptist Church. Wincanton Baptist Church will be holding a Macmillan Cancer Care coffee morning on Thursday 22nd September. The event runs between 10:30am and 12:00 noon, when visitors can relax over a nice cuppa, suitably balanced by a yummy home-made cake, or two. Wincanton Baptist Church is holding its next monthly coffee morning on Thursday 21st April in the Church hall, Mill Street. As the dates coincide, this event will also be the Church’s celebration of Her Majesty the Queen’s 90th birthday. The coffee morning is part of our British heritage. 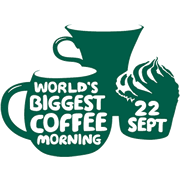 But would you like to be part of the World's Biggest Coffee Morning? On Thursday 4th October Wincanton Baptist Church takes part in this amazing event, held at venues around the country. We started the Listening Ear coffee mornings five years ago at the Baptist Church Hall in Mill Street, and now would like to tell you about our plans for this Autumn term. Church... boooring! Church Services... boooring! Carol Services... boooring! Why should anyone attend a Carol Service? What's the point? It's just another of those boring Christian meetings that has no benefit to my daily life. Or does it? This Sunday churches across the country will be hosting The Big Welcome. This is a Sunday where you can drop into any church, but you will see outside some churches a poster with the Big Welcome on it. Baptist minister Andrew Ireland is remembered and celebrated in a memorial service in Wincanton's Catholic Church. Andrew Ireland, Wincanton's Baptist minister, reflects on his faith, death and dying and the need for sensitivity and honesty. 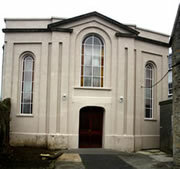 National Back to Church Sunday is on Sunday 26th September. 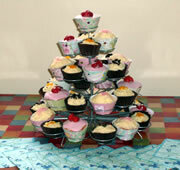 This is an annual event in which involves Baptist, Church of England, Methodist and United Reform Churches. Joyce Page describes a friendly and supportive group that meets on alternate Thursday mornings for coffee, cake and conversation in the Baptist Church hall in Mill Street. 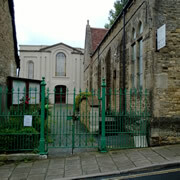 The Rev Andrew Ireland, a man with an interesting background and wide experience arrives with his family in Wincanton to lead the Baptist Church. How I ended up throwing snowballs at members of the congregation.